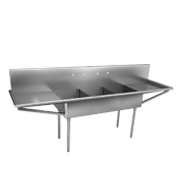 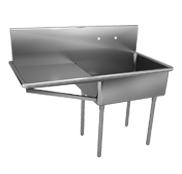 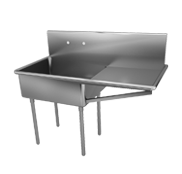 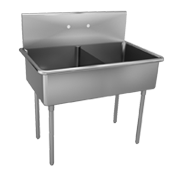 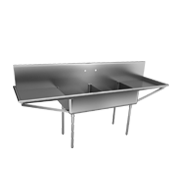 Just Manufacturing’s selection of heavy duty, industrial stainless steel sinks and commercial-grade, NSF Std. 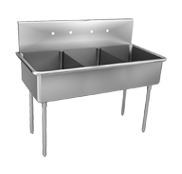 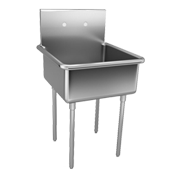 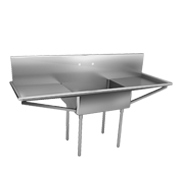 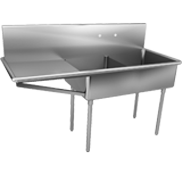 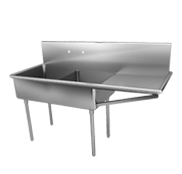 2 stainless steel sinks have been specified by some of the largest health care groups, school districts and hotel chains in the U.S.
Our institutional scullery NSF std 2 sinks are available in single, double and triple compartment fixtures and capable of being complemented by varying drainboard sizes. 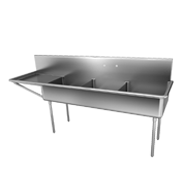 With the broadest product offering of sinks in the industry, you can choose the exact model needed for a particular installation without sacrificing cabinet or sink sizing restrictions. 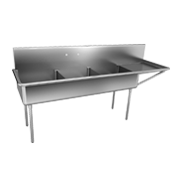 And with our 80+ year track record, you can be assured that quality service and product reliability are a constant.